It's more than just a club - It's a lifestyle! As a member of our wine club, you will enjoy handcrafted wines from our three winery selections. Pre-releases, special lots and many additional member benefits are exclusively available to you. In addition to all the Société Member benefits, the Magellan Series Membership allows you exclusivity to purchase pre-released premium wines and small-lot wines and increases your discount to 25% off all wine and merchandise purchases (excluding consignment items). 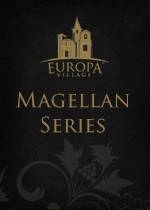 When you upgrade to the Magellan Series Membership, you will receive four selections from our Sommelier every other month - includes two bottles from our Passport Selection and one bottle from our Première Selection, and one bottle from the Magellan Series sourced from either France, Spain or Italy. We will process your credit card the day of the allocation date for approximately $130-$170 (based on the selection). In addition to all the Société Member benefits, the Première Membership allows you exclusivity to purchase pre-released premium wines and small-lot wines and increases your discount to 25% off all wine and merchandise purchases (excluding consignment items). When you upgrade to the Premiere Selection Membership, you will receive three selections from our Sommelier every other month - includes two bottles from our Passport Selection and one bottle from our Première Selection. We will process your credit card the day of the allocation date for approximately $75-$120 (based on the selection). Two selections from our Sommelier released every other month. Choose mixed, reds whites or sweets only. We will process your credit card the day of the allocation date for approximately $45-$65 (based on selection). Spread the joy and enroll family and friends in a 4, 8, or 12 month Passport Selection membership. Includes all of the benefits of the Passport Selection plus a gift card to spend on yourself or use as an additional gift! Le Fine Print: Sociéte Europa selections, plus applicable taxes and shipping, will be charged to the credit card on file with your membership information. Selection prices vary, depending on the wines selected. For any questions, please contact the Societe Europa Concierge at 1-888-383-8767. Société Europa membership includes the primary member and one adult in the same household. Benefits apply to Société Europa Members only. Benefits are non-transferable. 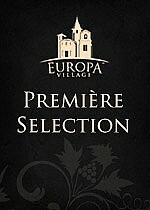 In becoming a member of Société Europa, you authorize Europa Village to automatically bill your credit card on file for bi-monthly wine selections. Price depends on membership selected plus applicable tax and shipping charges. Please bring a form of identification with you each time you visit. Wine Club tastings are an included benefit in the purchase price of your wine club shipment. Cancellation will only be accepted after the minimum of THREE club shipments has been met. Requests to discontinue your membership must be done in writing and received two weeks prior to any scheduled processing in February, April, June, August, October and December. Fees are non-refundable if a cancellation request is made after our scheduled processing. PLEASE NOTE: Early termination of membership is subject to a processing fee plus any membership discounts received prior to the required three shipment minimum. Current members who upgrade to Première must also accept a minimum of three shipments. 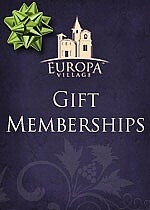 To avoid delays and additional shipping and re-routing costs, it is the member's obligation to notify Europa Village promptly of any credit card or address changes before scheduled shipments. A daytime address with someone 21 years of age or older available to sign for the delivery is required. Although you may have selected to pick up your wines at the winery, if your wines are not picked up or placed on hold after 60 days, they will be shipped to you and a shipping charge will be applied to your membership. Terms and conditions subject to change without prior notice. This offer void where prohibited by law.